Your browser doesn't support EMBED, but you can still listen to Croatian National Anthem by clicking here. 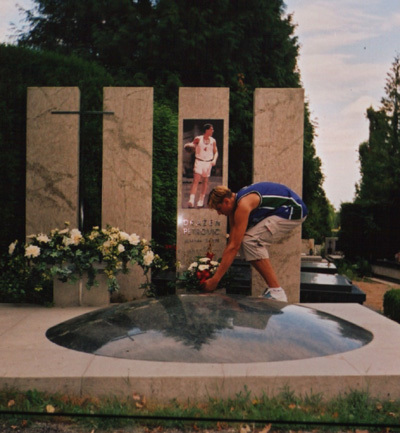 Andrew Bogut at the Petrovic Memorial in the Mirogoj Monumental Cemetery, Zagreb, Croatia. July, 2003. 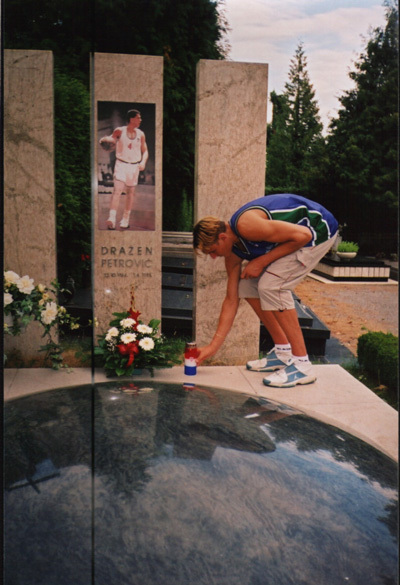 Andrew Bogut placing a candle at the Petrovic Memorial. 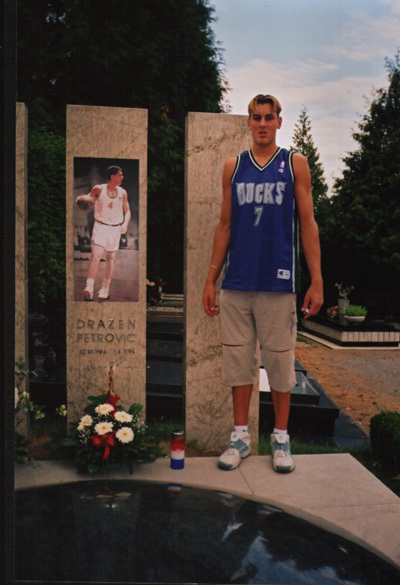 Andrew Bogut at the Petrovic Memorial. 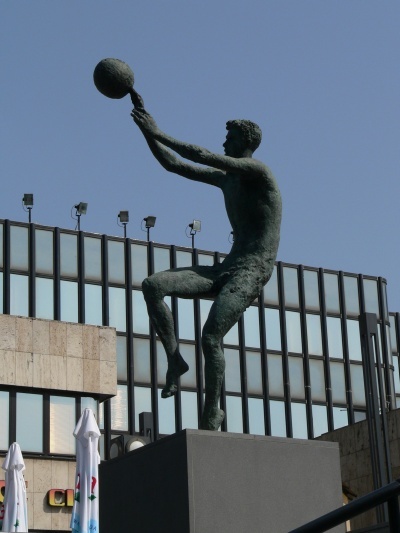 Andrew is wearing his Toni Kukoc (from Split, Croatia) Milwaukee Bucks #7 jersey. Photos provided by Aunt Dijana. 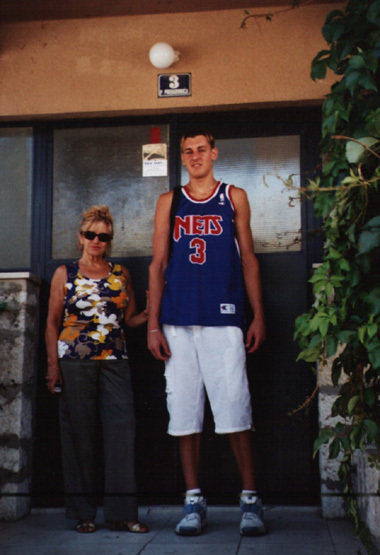 Biserka Petrovic, mother of Drazen Petrovic, and Andrew Bogut at Biserka's and Drazen's home in Sibenk. Andrew is wearing a Petrovic Nets #3 jersey. Note house number is 3. 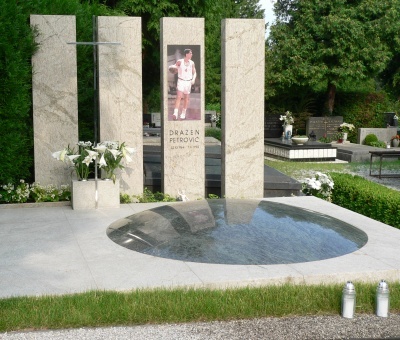 Drazen Petrovic memorial as it stood on June 27, 2008. 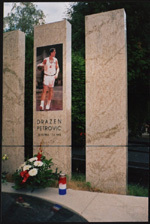 Drazen Petrovic statue at the Drazen Petrovic Museum in Zagreb, Croatia. 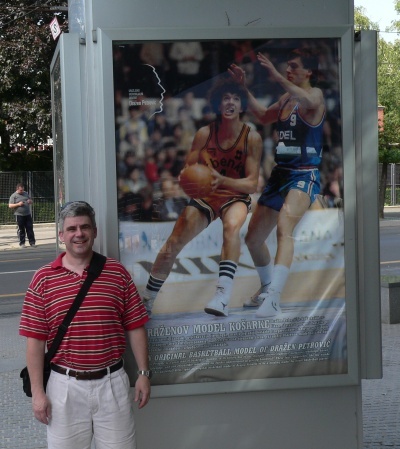 Your Andrew Bogut webmaster, Keith, outside the Drazen Petrovic Museum. 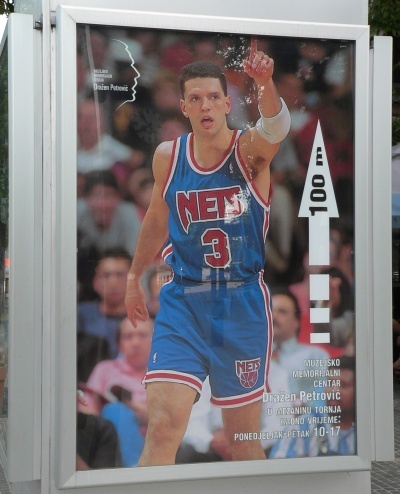 Another of the Petrovich posters outside the Drazen Petrovic Museum. Original material © 2005-2008 Keith Brewster. Others as noted.